It’s Yom HaShoah (Holocaust Remembrance Day), and I just finished reading this comprehensive and unique history of the Holocaust. This book caused me to consider the Holocaust and anti-Semitism in a new way, even if I did not always agree with Snyder’s interpretations. Snyder begins with addressing Hitler’s political and sociological motivations, especially in terms of Lebensraum (living space)–the idea that the higher race deserves a higher standard of living including more space, and decadence. He argues along these lines that Hitler’s motivations went beyond traditional anti-Semitism with a more personal and political aim, only later leading to his Final Solution to exterminate the Jews. 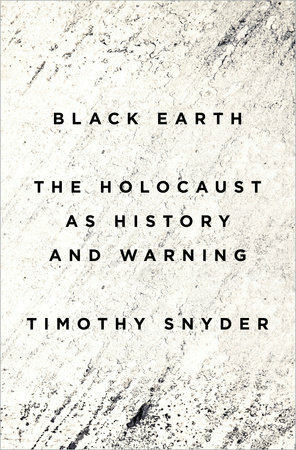 Snyder also describes the overall political atmosphere and relationships between the countries involved in WWII, with special concentration on Germany, the Soviet Union, and Poland; and in consideration of the weight of double occupancy, the myth of Judeo-Bolshevism (blaming Jews for communism), and the influences of the destruction of state power. Multiple individual accounts are shared to demonstrate those political tensions from a personal perspective. I also appreciate that Snyder extends beyond Auschwitz to the deeper horrors occurring in the multitude of states around Europe. However, I expected a stronger and more grounded focus on the Holocaust as a warning. While the history is comprehensive, the warning appears only in the final chapter and is weakly focused on the Green Revolution, and climate change. While I agree with Snyder in the importance of caring for the earth and living sustainably, I adamantly disagree with his conclusions in linking this and state power with preventing a next holocaust. Snyder’s perspective is interesting–I was not aware of all of these variables, and am interested to do further research and draw my own conclusions. I recommend the book due to its solid research, and presentation of ideas, rather than for its interpretations and conclusions. I received a complimentary copy of this book from Tim Duggan Books.